CPS1 SF2WW B Board Repair - What is this component? I've been puzzling over this one on and off for a while now. It was stuck in boot loop 90% of the time, the other 10% it would boot into the game but in black and white and/or serious color distortions. One time it came up showing work ram "NG". I tested and verified all socketed chips - all good. I've looked over the board with a magnifier probably 5 different times, looking for broken traces. Finally today, I looked at it again with fresh eyes and found FB2 missing. I pulled a replacement off a parts A board, and voila, it came right to life. Now the question - what exactly is this componet (FB2)? 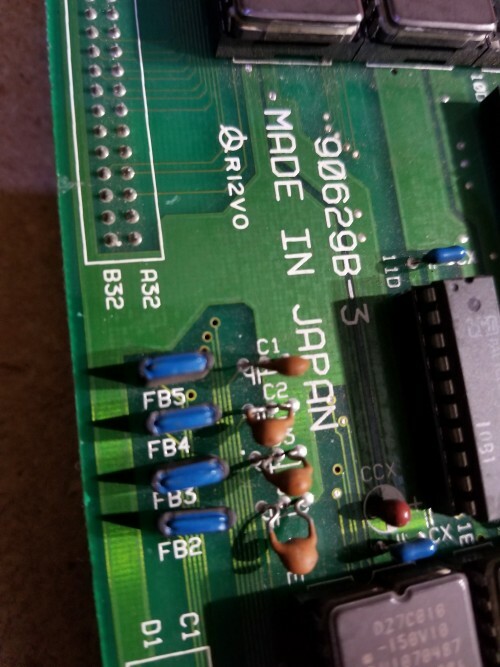 Re: CPS1 SF2WW B Board Repair - What is this component?